The real danger for travelers may not be what you think. In this episode we talk about the dangers that travelers bring with them to the places they visit. We also look at hotels, airbnbs, instagram, and the unintended effects both good and bad that they can have on the local economies and environment. This episode isn’t as heavy as it sounds, but we do have a good discussion about practical ways we can be more conscious and thoughtful travelers. The hardest part for the listener is getting through the first minute. I won’t give anything away, but it’s a brutal 1 minute for everyone involved. This Episode is all about Universal Studios in Hollywood. What is the scariest ride? What attractions to skip and what to miss? What are our favorites secrets and tips for you to make the most of your time and money visiting one of the countries favorite theme parks. We also talk about what big events they have coming up, including the opening of Jurassic World and the new Harry Potter Attraction. It's a fun ride! 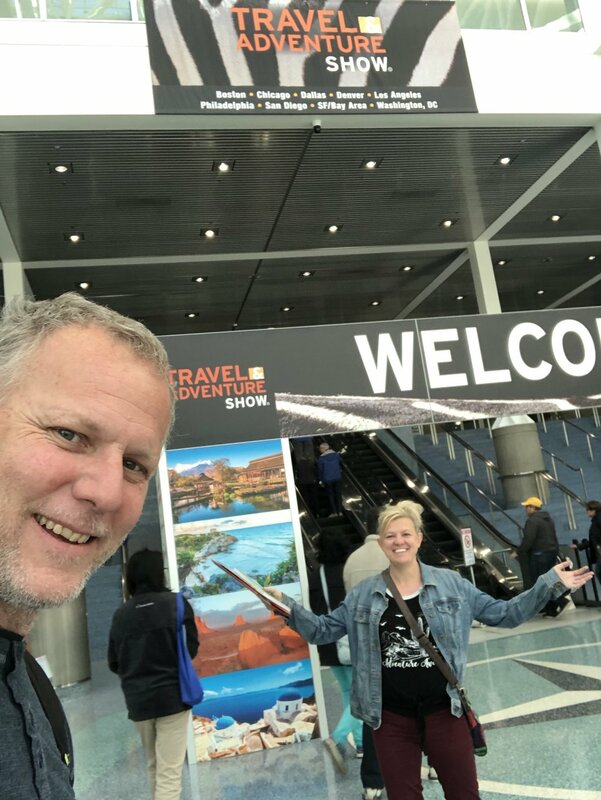 Doug and Teresa Wyckoff take you with them to the largest travel show in North America with mini-interviews with some of the most interesting travel professionals we met. We took a plane, a van and a motorized canoe to get to the lodge. They only had power for a few hours in the evening. So no WiFi or phone charging till then. The staff were very friendly and the food was good. I would recommend them if you want a great Amazon experience. Bobby Sheehan talks aboout his experiences teaching english in the Czech republic, how it led him to move to NYC to peruse comedy and that one time he accidently hung out with Nazis. Laura Merli, the comedian and podcast host of "How to be Less Awkward" joins us in the middle of our weekly argument about misogyny. Doug learns about pronouns, what parades really are, we talk Santa Con. 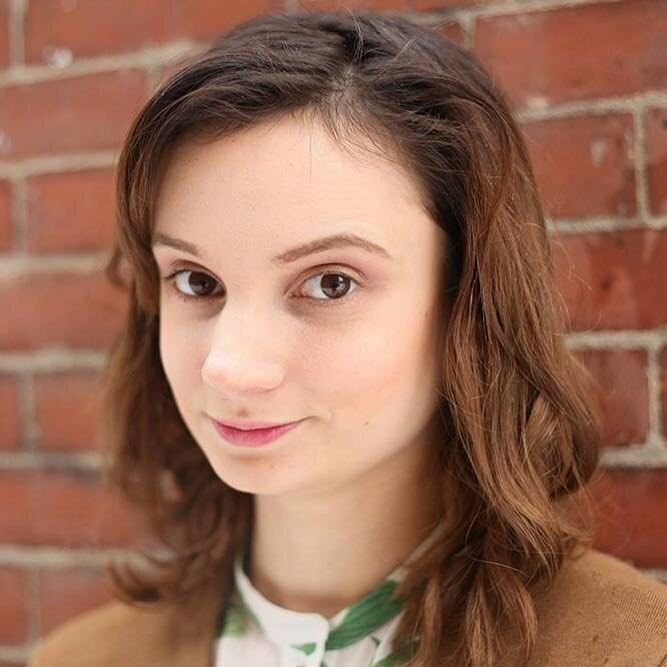 Laura discusses with us comedy in Boston vs. NYC and alt shows vs. club comedy. During our 5 questions segment we hear her scariest travel experience in Amsterdam. spoiler: it involves weed She also tells us a travel tale: family cruise for her grandparents 50th wedding anniversary & the most expensive hat ever. Live from the RV: Inca Trail & Announcement! We record this one in our RV “From the road” in Arizona. 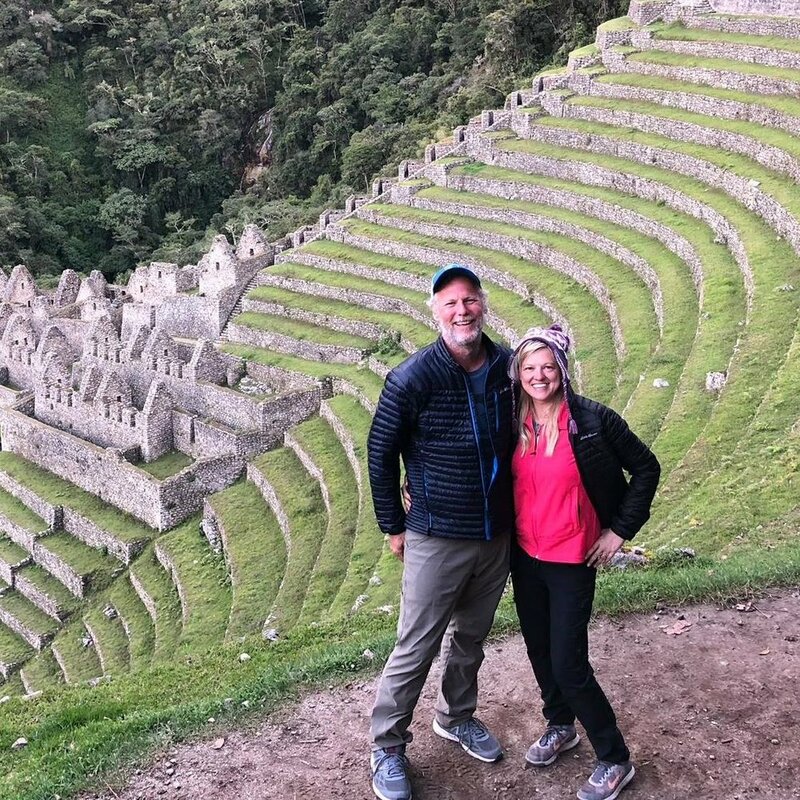 We have a great time talking about the Inca trail, what lies not to believe about the trail and sharing the best, most surprising and worst parts of the hike. We answer our 5 travel questions about the Inca trail and give you lots of tips about what to expect and what to plan for. In this episode, we also make an announcement about how all of our friends can join us for an adventure in 2019.